We have a challenge for you. 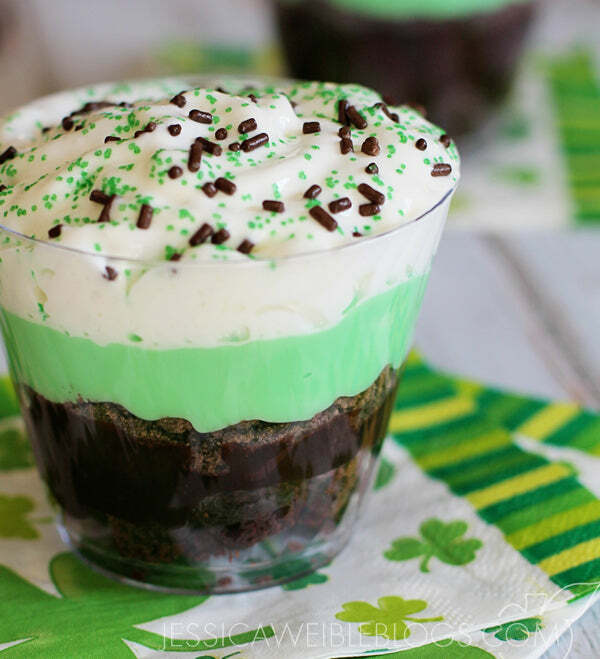 In looking for the very best St. Patrick’s Day dessert recipes, we found too many delicious ones. Indeed, we didn’t just have a hard time culling the list to a reasonable number. We really can’t decide which among these are our favorites. So here’s our challenge: make all 15 of these recipes. You know you want to. And hey, if you were inspired by our St. Patrick’s Day dessert buffets from last week, you’ll have plenty of options for your own dessert table. 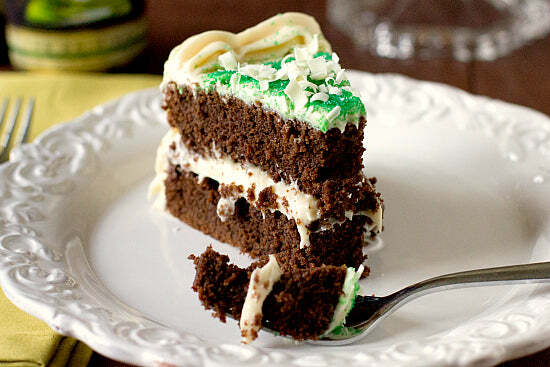 We’re kicking off this list strong, with Brown Eye Baker’s double-Irish boozy cake. As you can glean from the title, it requires not only a bottle of Guiness Irish Stout (or any stout, but really, why go with anything other than Guiness for this? ), but some Bailey’s Irish Cream for the frosting. This is one rich cake, so you’ll want to make sure there are plenty of people around to enjoy it with you. Otherwise, how can you enjoy all of the other desserts on this list? We of course had to include cupcakes in this roundup, and who better to consult than Stef from Cupcake Project? 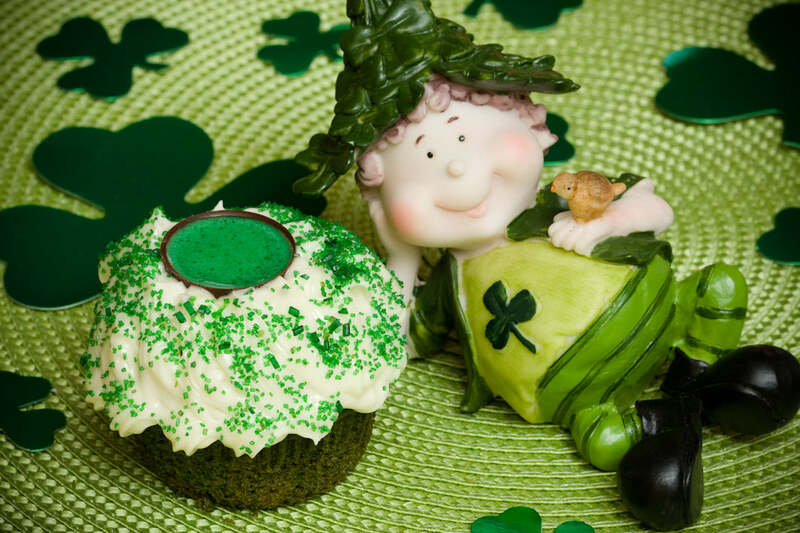 Her ultimate St. Patrick’s Day cupcakes are based on green velvet cake, so you’re off to a stupendous start before you even get to the creamy icing. As you might imagine, the icing does involve some liquor — in this case, Irish whiskey. If you’re feeling particularly adventurous, you can check out Stef’s Corn Beef and Cabbage Cupcakes. Seriously. Apparently they taste far better than they sound, but we’re not quite so brave. Everyone loves a well-constructed roll cake, and St. Patrick’s Day gives you a perfect occation to mix moist chocolate cake with a green filling. Dorothy from Crazy for Crust takes this recipe to a new level, including brewed coffee in the cake. With filling and frosting to make, this is one of the more complex recipes in the list. Rest assured, it is worth the effort. Have you had enough mint chocolate chip? We didn’t think so. Even if you had enough with the cake roll, this pie has ice cream. Enough said. We love how incredibly simple this one is. 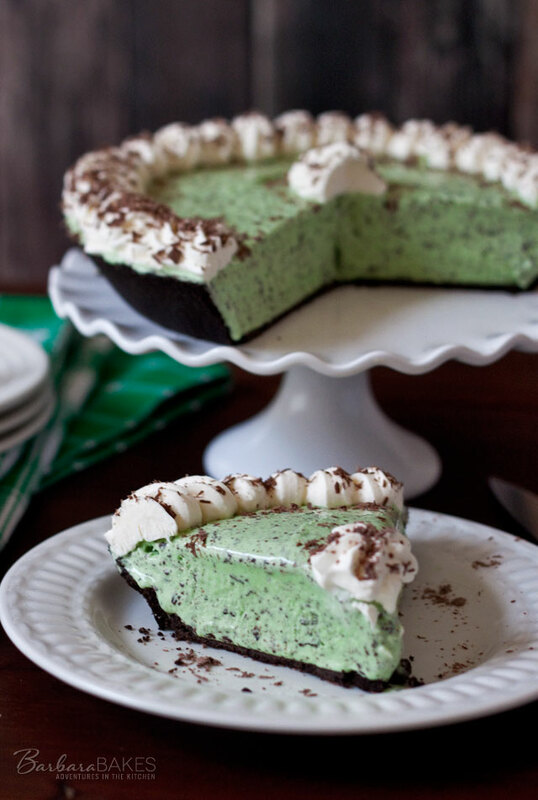 It requires just three ingredients: an Oreo cookie pie crust, mint chocolate chip ice cream, and whipped cream. 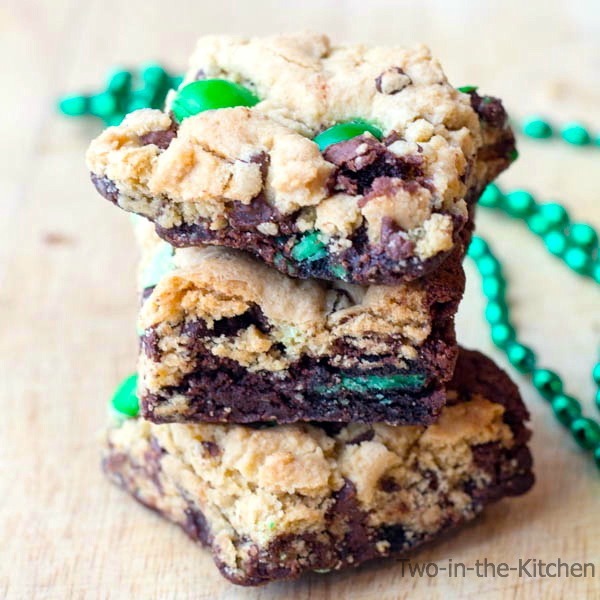 Barbara takes something so simple and makes it into something incredibly delicious for St. Patrick’s Day. Get the recipe at Barbara Bakes. While the recipe name might not be the most enticing, rest assured it’s tongue-in-cheek. Fido might enjoy these just fine, but they’re really for you. 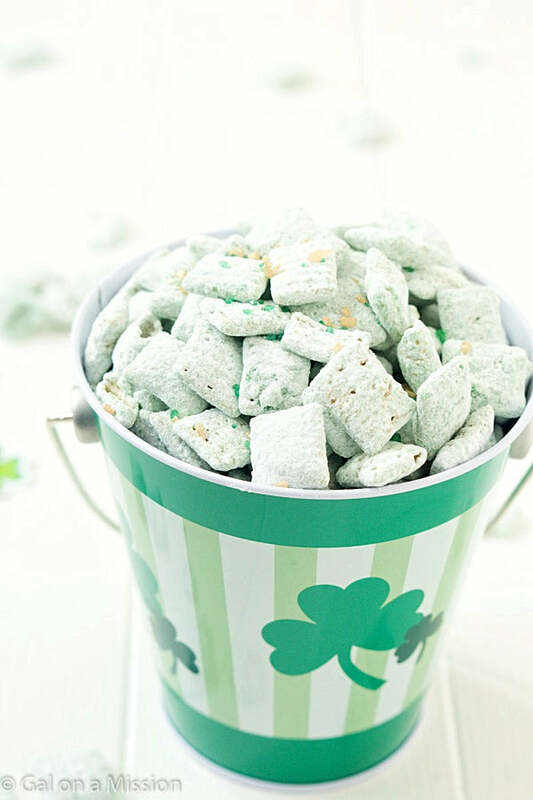 Making this puppy chow requires just four ingredients, though two of them aren’t exactly common to many of the recipes we feature: essential oil and candy melts. But once you follow the instructions and put together a batch of these, you’ll probably want to make another batch. Becuase you’ll have eaten all of the first one. Get the recipe at Gal on a Mission. 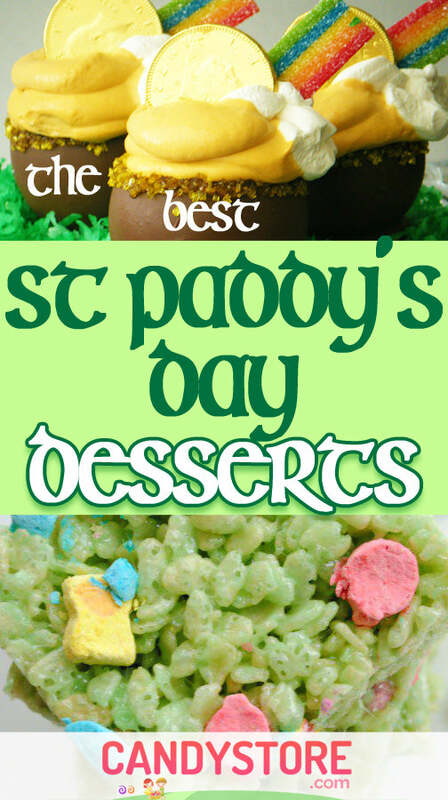 One wonderful aspect of creating St. Patrick’s Day desserts is the guidelines are pretty loose. Does it involve green or a rainbow? You’re good. Doubly so if it has stout or whiskey in the recipe. 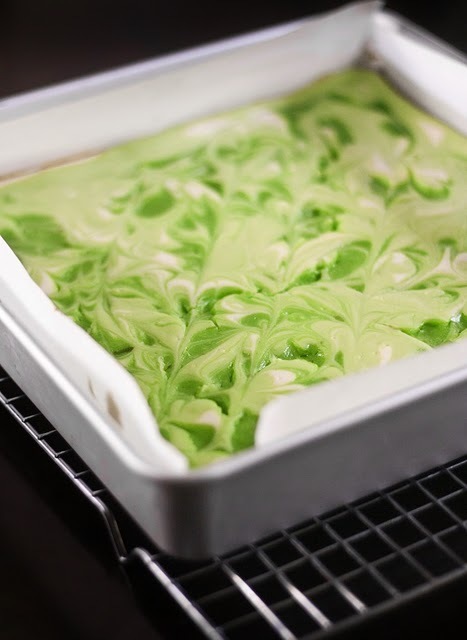 These Key Lime Swirl Cheesecake Bars check the green box, so we’re including them. They look beyond delicious. Since they have a crust, they’re almost like key lime cheescakes, the mere thought of which makes us drool. Get the recipe at Confessions of a Cookbook Queen. Get the recipe at Classy Clutter. Just to mix things up, we’re including this parfait recipe. We’re also including it because it’s delicious. A final reason: because it includes Thin Mints, the very best Girl Scout cookie. You can put this together in no time flat, with some pudding cups and chocolate cake. In fact, you might want to make it kind of a leftovers thing, after you make some of the other desserts. Get the recipe at Jessice Weible Blogs. 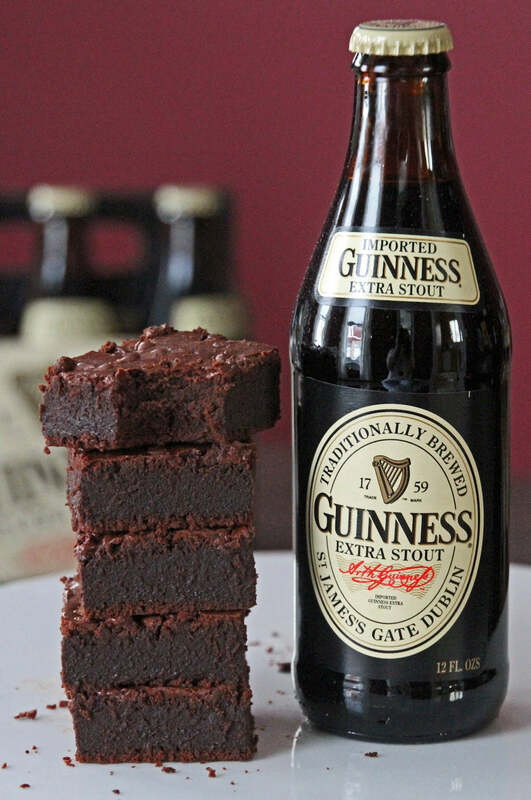 Between this and the Guiness cake above, you’ll use three bottles of stout. That’s great news, since it leave you three to drink! Anyway, this brownie recipe is absolutely rocking, with many different kinds of chocolate combined — you’ll need a double boiler to melt it all and create the perfect concoction. Consider using some of these in the parfait. Get the recipe at Debbie’s Sweets. It occurred to me at some point while putting this together that there were no desserts shaped like a four-leaf clover. The reason why quickly became apparent: we had no cookies in the roundup! That I had to correct, and with gusto. 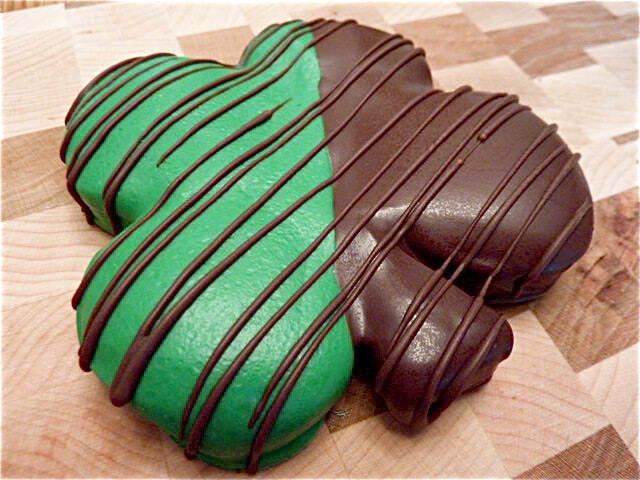 And so I’m proud to present this shortbread four-leaf clover cookie recipe from Got Chocolate. It requires some chocolate melting and dipping, which makes this recipe all the more fun. If you’re building a dessert table, these are absolutely necessary. Get the recipe at Got Chocolate. Look, if you’re going to make all 15 of these desserts, you’ll want a few simpler ones. We’ve included a number of four-ingredient ones, but you could still use a few more breaks. We’re thankful for Stretching A Buck, because they created a simple but delicious looking dessert: dipped marshmallow pops. 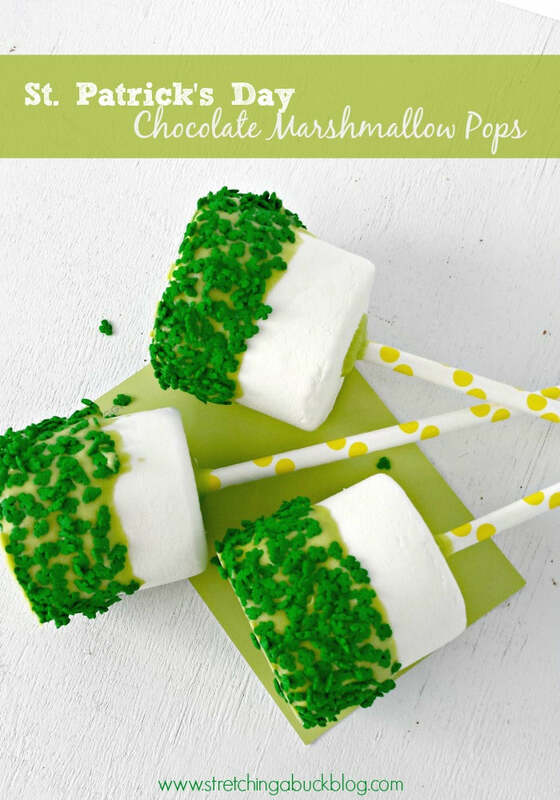 Just grab some lollipop sticks, some large marshmallows, green candy melts, and sprikles. Get the recipe at Stretching A Buck. What is a brookie? As you might be able to guess, it’s a portmanteau of cookie and brownie, which for some reason we haven’t heard used frequently. It sounds like a great name for a great concept. 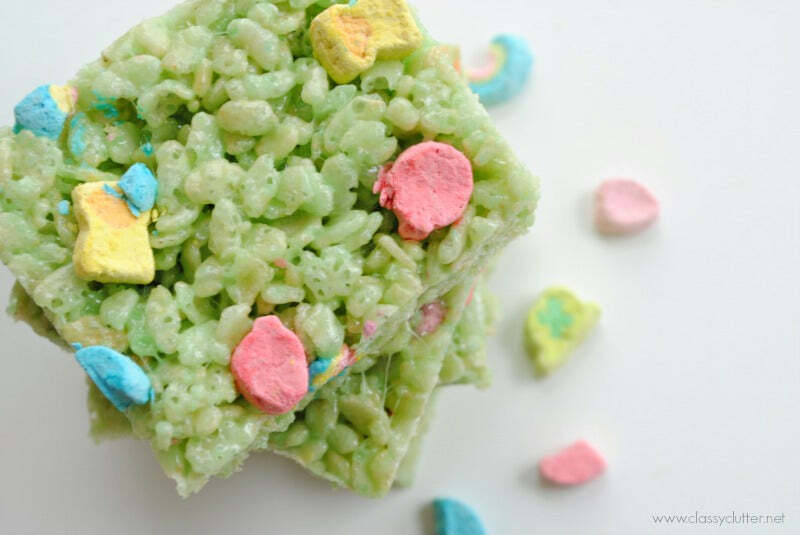 And these, oh yes you’ll want to make these. You’re basically making a pan of brownies, putting down a layer of Mint Oreos, and then spreading homemade cookie dough on top. Desserts don’t get much better. 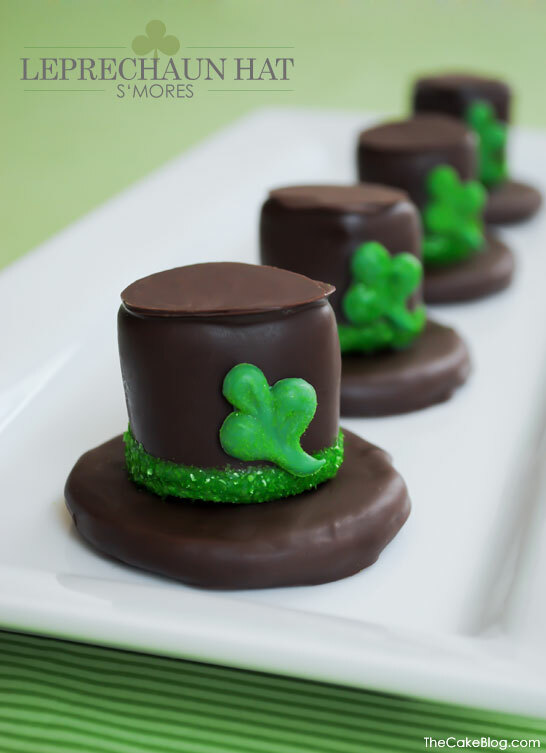 If you’re looking for a St. Patrick’s Day project for the kids, these leprechaun hats will make for a great time. There is melting, dipping covering, and sprinkling. It only takes five ingredients, including Keebler Fudge Stripes cookies, and as you can see the end product is dazzling. Just as there’s a pot of gold at the end of the rainbow, so there is a pot of gold at the end of this roundup. 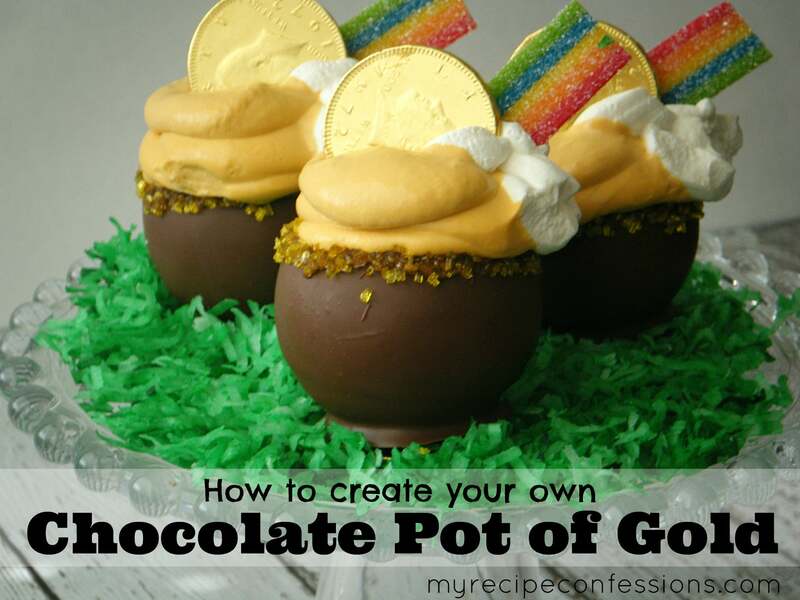 This pot of gold, of course, you can eat. You’ll have to make the chocolate bowls and the butterscotch mousse, but boy do they taste delicious together. You’ll also get to mix in some Airheads, which are among our favorite candies. And, as a final little decoration, some gold chocolate coins. You can really have fun with this one. Get the recipe at My Recipe Confessions.